Is the smile you see in the mirror your dream smile? If not, what’s holding you back? Cardinal Dental Group gives you access to the most comfortable, natural-looking cosmetic dentistry available. Like an artist, your dentist will design and craft a smile for you that beautifully highlights your natural features. You may find that you look years younger after treatment, and your confidence will soar. 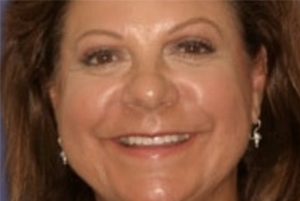 Schedule a simple smile enhancement or a complete smile makeover today! A: You are not alone. Most people want to have a nice smile since it is the first thing others notice about you. You may be interested in a few minor adjustments, or you may have concerns that need more attention. 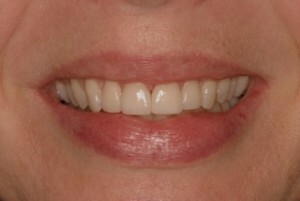 Some smiles can be enhanced with simple whitening or bonding treatments. 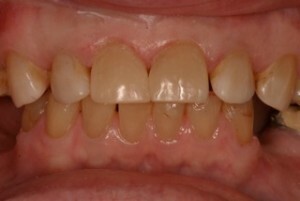 Other smiles need porcelain veneers, crowns, or bridges; gum contouring; periodontal therapy; or, a combination of all these techniques. Drs. Onemany and Seaberg will suggest a treatment plan for you based on your goals and areas of concern, and on the overall condition of your oral health. Contact us for a complimentary smile evaluation to determine what course of action will produce the best solution for you. Limited orthodontics or clear aligner therapy provides an innovative approach to orthodontics. You can get great results without traditional braces! 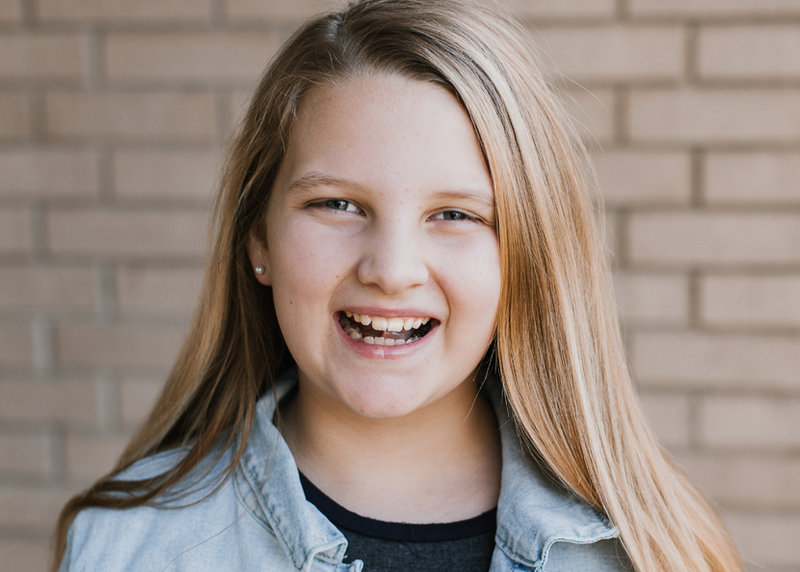 No more metal brackets that rub your mouth and you can do so in a fraction of the time compared to other aligner or bracket treatments, including clear braces and invisible braces. Clear aligners use clear, virtually invisible aligners to correct minor misalignments such as gaps or crowding. The aligners are removable, so you can take them out to brush and floss your teeth. Your custom aligners are comfortable and most patients report that they don’t even notice them. Your dentist will progress your treatment by providing new aligners as your teeth begin to move. You can see results in as little as 3 to 6 months! If you have questions or want to know more about limited orthodontics contact Cardinal Dental Group today and schedule a consultation. A: Cardinal Dental Group has a number of ways to improve the look of your front teeth without the use of unsightly braces. For slightly crooked or unevenly worn teeth, a bit of reshaping and the addition of porcelain veneers may be sufficient to give them a bright, uniform look. We would be happy to talk with you further about the option that best suits your individual situation. If you have suffered from injury or disease, or even just bad luck when it came to the development of your smile and its supportive structures, you may be living with daily pain and discomfort. Think of your favorite movie star or musician’s smile. It is straight, bright, and healthy, isn’t it…at least in most cases. 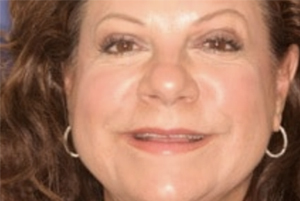 Would you be surprised to know that many Hollywood smiles are the result of makeovers with porcelain veneers and that you can receive the same, wonderful transformation? Porcelain veneers from Cardinal Dental Group are custom-milled for size, shape, and color. Your doctor will design veneers that perfectly accent your smile and facial features. After a little tooth preparation, your doctor will position these thin porcelain restorations on the visible surfaces of your teeth, bonding them into place. In just a couple of visits, you will see a new, vibrant smile in the mirror! 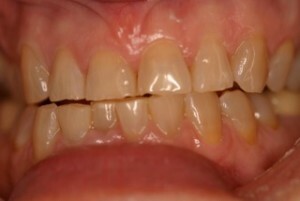 A: Porcelain veneers improve your smile by correcting a multitude of cosmetic concerns including: gaps in teeth; chipped and broken teeth; dull or yellowing teeth that cannot be whitened with traditional means; “gummy smiles” (showing too much gum when one smiles); and, crooked teeth. Porcelain veneers broaden, straighten, whiten, and beautify most any smile. This procedure can be done in as little as two clinical visits. Many of our patients feel like this was the best improvement they could have made for their overall confidence. Ask us about how porcelain veneers can improve your smile at your next visit, or send us an email. Your teeth may be straight, and they may feel perfectly healthy. But, do they look youthful, bright, and healthy? 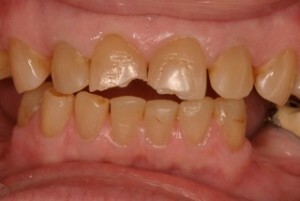 Sometimes staining and discoloration can steal the luster away from an otherwise healthy smile. Tooth whitening can bring back a smile that you want to show off! A customized, take-home whitening treatment from Cardinal Dental Group can give you a vibrant, confident smile in just a few weeks. We use this whitening technique because it is the most comfortable for patients, and according to university studies, the most effective. This kit involves a comfortable, custom-fitted tray, similar to a sports mouthguard. Into this tray, you will place a special whitening gel, which the tray holds in place for a short amount of time. Your dentist will give you specific instructions as to the number and duration of your whitening treatment “sessions.” After a single session, you may begin to see improvement, and after a couple of weeks, you will see a brighter smile. Plus, you can maintain your new brighter smile with occasional follow-up treatments. At-home whitening trays. These products use peroxide-based gels to bleach your teeth. 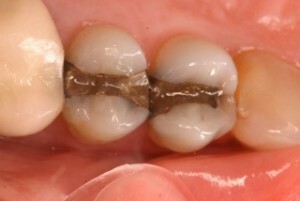 Generally, the process involves the daily application of the gel in a custom-formed “mouthguard” for about two weeks. Side effects may include short-term tooth or gum sensitivity. A missing tooth can make you self-conscious when you speak or laugh. Also, the space in your smile can allow your other teeth to shift, which may cause future problems. A porcelain bridge completes your smile in a way that looks and feels completely natural by using the teeth on either side of the gap as the supportive structure. After tooth preparation, your Cardinal Dental Group dentist will position two customized porcelain crowns on the neighboring teeth. Between these crowns, your dentist will suspend a porcelain restoration. 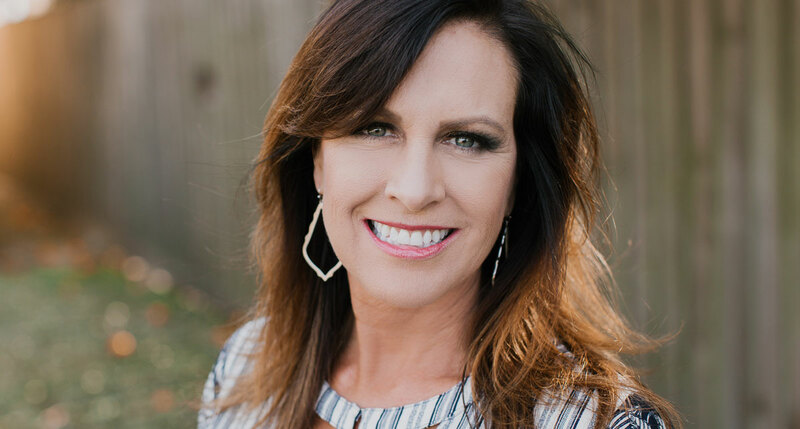 The three elements will work together to restore your beautifully functioning smile, and the results will be virtually undetectable from your other natural teeth. A custom-milled porcelain crown, designed by Dr. Onemany or Dr. Seaberg, could be your solution for a broken, discolored, or misshapen tooth. 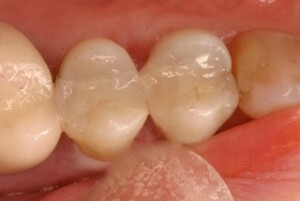 Crowns are also an option when a tooth has significant decay and when a filling is no longer an option. Your crown will look and feel completely natural and will match your natural teeth perfectly. After tooth preparation, your dentist will place your crown, ensuring your bite aligns perfectly. With proper care, your crown will last for years and will continue to look amazing! If you need a filling for a cavity or if you would like to replace your silver fillings with a more natural material, tooth-colored fillings are your treatment of choice. Thankfully, advances in dentistry have made it possible for you to have tooth-colored fillings that are virtually invisible. Tooth-colored fillings are made from a durable, porcelain-based resin that can be shaded to match your natural tooth color and sculpted to return your tooth to its natural shape. It provides a trustworthy seal, which guards the interior structure of your tooth against future decay. You can even choose to have your old silver fillings replaced with this modern alternative. 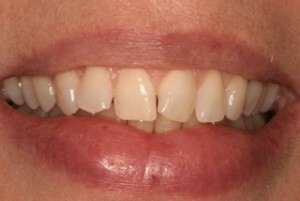 Cosmetic dental bonding is the perfect solution for you if you have chipped or misshapen teeth that need attention. This process involves a porcelain-based resin that can be artistically sculpted to give your teeth a more appealing appearance. Your dentist can also shade the bonding material to match your natural tooth color, and where applicable, to help conceal any stains or discoloration. You will love the way your smile results look! 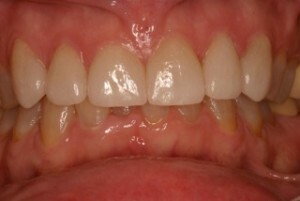 Perhaps you have straight, white, healthy teeth, but you still feel there is something about your smile that is amiss. Do you see a lot of gum tissue when you smile? Excess gum tissue can take the attention off of your healthy, white teeth and make you feel self-conscious when you smile or laugh. However, gentle dental treatment lasers and other instruments have made it possible for you to have your gum tissue reshaped to give your entire smile a more balanced appearance. If you think a gentle gum contouring might help your smile, ask for more details at your next visit to Cardinal Dental Group.